This was initially written for our internal company magazine Offline where it was published in the December 2012 issue. I added it here for your reading pleasure… Enjoy! I was fascinated with magnets from the earliest age, amazed by the magical force that was keeping all those pieces of plastic fruit attached to the outside of the fridge. A little later I discovered that seemingly mundane objects like door latches contained these tiny treasures inside, and from that point no piece of furniture would ever close properly inside the house. Magnets exert an irresistible pull — not only over some metals, but also over our minds. We want to master the invisible force that can hold things together or push them strongly apart. But how did it all start? If we go to the very beginning, iron and the other heavier elements needed for magnets were produced in the final days of a high-mass star’s life (our Sun need not apply), and spread around the universe by supernovas. Once on Earth, iron ore deposits were formed when some of the earliest forms of life produced enough oxygen to bind the iron salts within the primordial waters and create huge deposits on the ocean floor. Eons later, legends speak of a Cretan shepherd called Magnes from Magnesia who around 2000 BCE found himself stuck to a black rock, only to dig up “lodestones” from underneath — which subsequently were named “magnetite” after him (or was that the region?). Greek and Chinese scholars were able to devise practical uses for the lodestones: by shaping them as needles and floating them on water, they noticed that the needle always pointed in a north-south direction — thus the compass was born. At first, people remained wary of the strange rocks, and for many years they were surrounded in myths and superstition bestowing upon them the ability to heal sickness, frighten evil spirits or even attract and dissolve ships made out of iron. Even though they had been in use for thousands of years, the first detailed description of a compass in Western history is attributed to Petrus Peregrinus de Marincourt, a French Crusader, who in 1269 CE wrote about the floating marvel while standing guard outside the besieged city of Lucera. It took almost four more centuries for William Gilbert, the Court Physician to Queen Elizabeth I, to write his treaty “De Magnete” in 1600 and finally give a rational explanation for the mysterious ability of the compass needle to point north-south: the Earth itself was a giant magnet (that is bound to have ruffled some superstitious feathers). He also devised ways to make more magnets by contact with lodestones or beating wrought iron, thus paving the way for the great discoveries that followed. By this time, curious minds had long been observing another puzzling phenomenon encountered when substances like amber (elektron in Greek) were rubbed with fur and thus able to attract small, light pieces of material such as feathers. In the 19th century, a series of discoveries like the Danish physicist Hans Christian Oersted’s proof that an electric current produced a magnetic field culminated with James Clerk Maxwell’s encompassing electromagnetic theory. This opened the floodgates for a dazzling array of discoveries and inventions that continues to the present day. 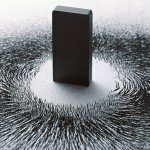 Magnets are the unsung hero of the modern age — they are everywhere around us, in places one could not even imagine. We use them in life-saving MRI machines or unassuming vacuum cleaners. So-called “cow magnets” are fed to the poor ruminants to attract pieces of metal and prevent them from injuring the cow’s stomach(s), while elsewhere in the animal kingdom, birds, bees and other insects have small magnetic particles in their brains to aid in navigation. Extremely powerful man-made neodymium magnets revolutionised electronics, with everything from hard-drives to headphones or buckyball toys employing them in some form. 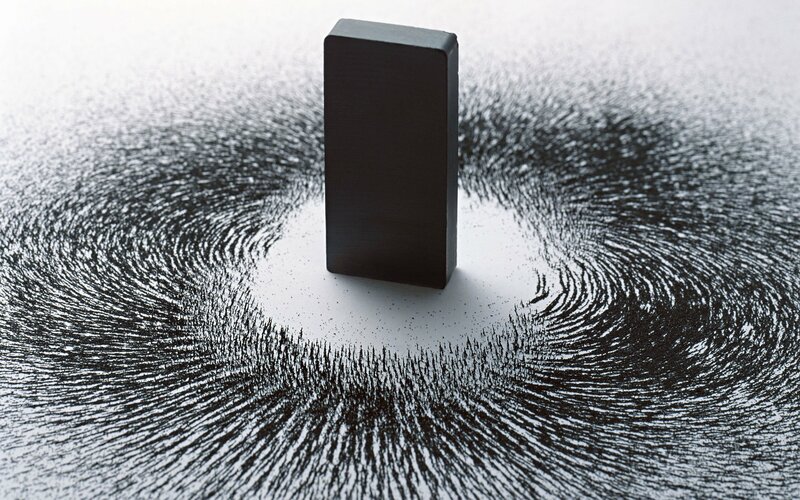 Surprisingly (or perhaps not) some of those old superstitions are still alive and well today, with people around the world spending an estimated 5 billion dollars each year on things like “magnetic water” which doesn’t even contain any ferromagnetic materials. As a more interesting application, those interested in body modifications have discovered a novel use: implanting them in the top of their fingers to obtain a “sixth sense” — the slight oscillations of the tiny magnets allowing them to actually feel electromagnetic fields. From the heart of a supernova to holding your tablet’s smart-cover in place, from saving cows to manufacturing new human senses, magnets never cease to attract curiosity. I for one can’t shake a burning question: if the Earth is a giant magnet, how come we aren’t all living at the poles?